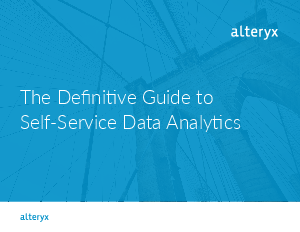 White Paper Published By: Alteryx, Inc. The traditional multiple-step, multi-tool legacy approach is a slow, time-consuming, and in most cases, a costly process that prevents organizations from making faster decisions with confidence. Data analysts today need an agile solution that empowers them to take charge of the entire analytics process.